LOTR fan? Then I know you like this one from Snorg Tees. Am I right? It’s a crucial concept in the story. 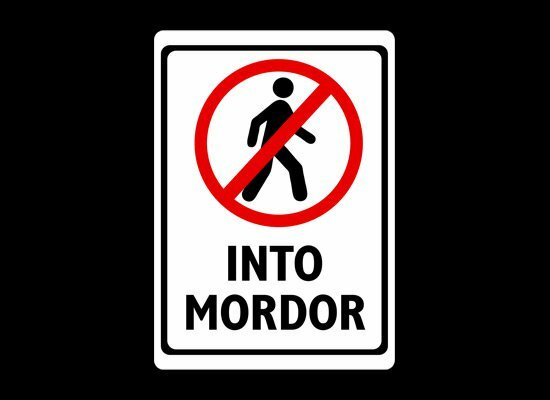 Mordor is not a place for leisurely strolls. This helps set up a considerable amount of tension with the ring stuff and the good versus evil stuff…and that’s why you have a primal urge for this design.